The RUBY handheld video magnifier is small and lightweight enough to fit into a pocket or purse, yet provides the magnification you need to help you read or see details, … Win a free Ruby! The all-new RUBY XL HD puts crystal clear, high-definition magnification in the palm of your hand. The slim RUBY XL HD can go anywhere with you. 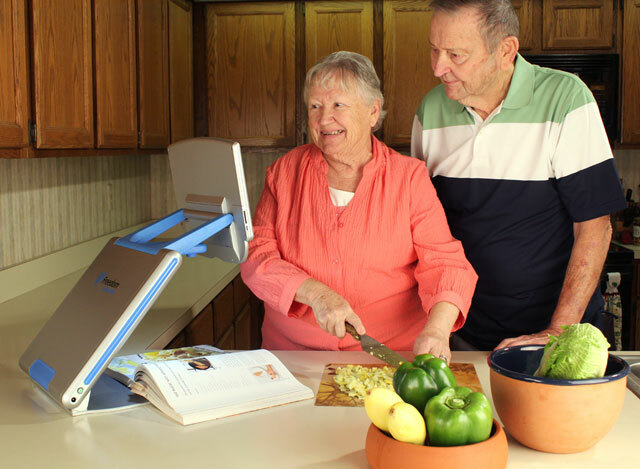 Browse NY Low Vision's selection of handheld magnification products to learn more about how our low vision and assistive technology can help seniors or anyone with vision loss problems. 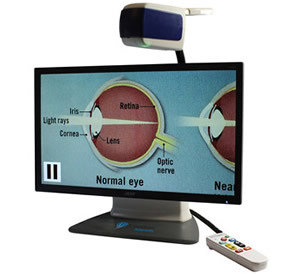 The ultimate desktop video magnifier, TOPAZ XL HD provides high-definition magnification with the sharpest image and the crispest text available. 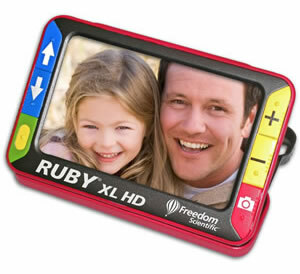 Browse NY Low Vision's selection of desktop video magnifiers. Learn how your life could be made much easier by using a desktop video magnifier, which helps anyone with vision problems. The ONYX Deskset HD is a portable video magnifier that adapts to multiple environments, and tasks for productivity at school, work, and at home. 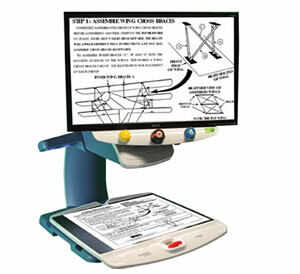 NY Low Vision's portable video magnifiers help seniors and any others with vision loss. Our portable magnifiers can change your life, allowing you to read any text you encounter in your daily life.